OK, I’m in a silly mood today and was thinking about this… it made me laugh so I thought I’d share this with you. We’ve all heard that many people are uncomfortable using public restrooms. If you guessed that this typically refers to the fact that they are concerned about germs and disease you are dead on! But public restrooms can also be the source of several embarrassing situations, and I have had my share. Here are my top 10 embarrassing moments… see if you can top these! 10) Finding there is no toilet paper in the stall… excuse me can you spare a square? 9) Not locking the door or stall door and someone coming in… hello, occupied! 8) Being physically sick in the restroom… sitting on a restroom floor with the sweats… nooooo! 7) Someone in an adjacent cubicle starting a conversation with you. Seriously? Yes the concert is wonderful but not interested in a new bathroom friendship! 6) Somehow getting locked in a stall and having to crawl under the door… so gross! This is where your Army crawl training comes in handy! 5) Entering the wrong gender’s restroom by mistake. Does this only happen to me… at the airport? 4) Clogging the toilet so it does not flush completely… and someone is waiting for your stall! OMG! 3) Having to listen to someone having a phone conversation while you are trying to do your business… and they are the quiet ones! Why did I eat cheese! 2) Dropping your phone in the toilet and saying really bad naughties and people ask if you are ok! 1) Realizing the weird noises in the stall next to you aren’t from someone eating cheese… you look down under the next stall and there are four feet there! What? Get me outta here! 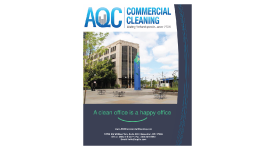 So if you are concerned about germs and disease in your office restrooms AQC can help, as for the list, you are on your own my friends!